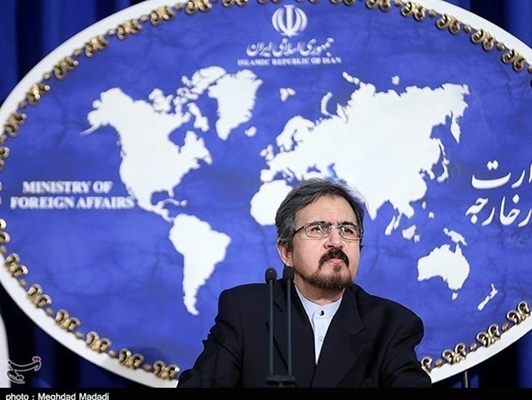 Iran’s Foreign Ministry Spokesman Bahram Qassemi condemned the interventionist remarks by the Emirati foreign minister, noting that thee three islands are integrated parts of Iran’s territory. Qassemi underlined that unfounded and repetitive remarks of UAE foreign minister accusing others to destabilize the region and creating projections is while Abu Dhabi has played a traditional conservative role in recent years in favour of warmongering and extremist actors in the region. Instead of helping reduce the tensions in the region, it has promoted the deepening of gaps and expansion of warmongering in the region, he went on to say. He said the Islamic Republic of Iran has always believed that what puts the region on the brink of irreparable disaster and catastrophe is the Takfiri-supporting policies. The Iranian Spokesman condemned the historically inaccurate claims of Sheikh Abdullah, adding it will not change any reality, as reported by Mehr and edited by IFP. Qassemi pointed to the need to adopt realistic, anti-violence and anti-terrorism policies by all countries in the region for putting an end to the current unrest, and recommended the UAE foreign minister to avoid repeating the false and unfounded accusations.